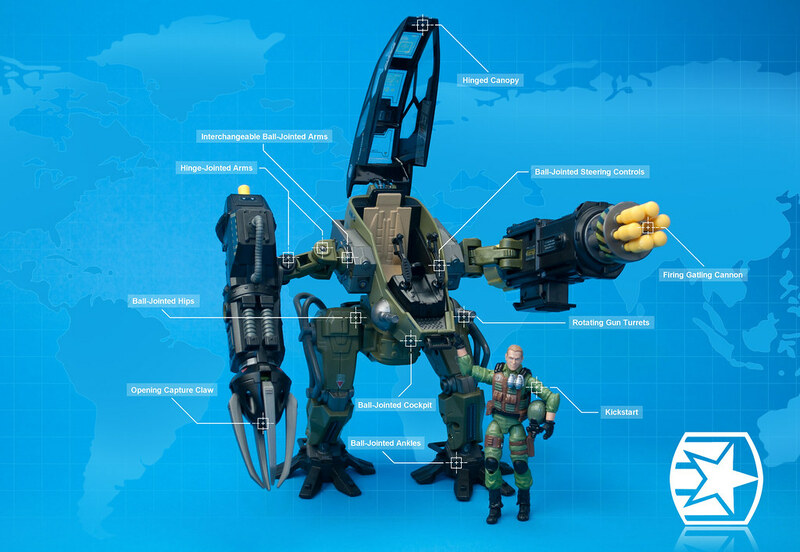 The Hasbro team's G.I. Joe Q&A replies for round 1 of 2011 are starting to trickle in. Although we didn't submit questions for this round of Q&A, we look forward to participating in upcoming rounds. If you have a question you'd like us to ask the G.I. Joe team at Hasbro, be sure to leave it as a comment to this story. To see a complied list of Hasbro's answers for this Q&A round, check out Generals Joe's Q&A Archive. Hot on the heels of their recently revealed Pit Command Center environment, Sideshow Collectibles gives us a sneak peek of the next environment, in their 12-inch G.I. Joe line, the Arashikage Temple. 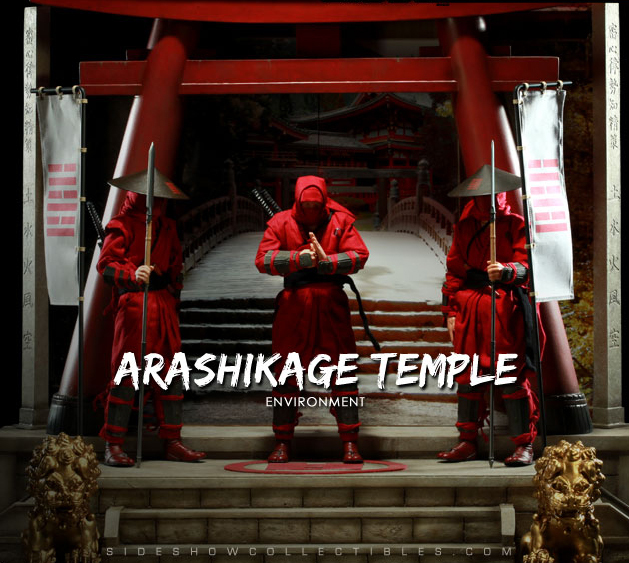 The full product reveal for the Arashikage Temple is May 3, with pre-orders starting on May 5. Mark your calendars! In the meantime, be sure to check out the rest of Sideshow's G.I. Joe environments. Hasbro, Inc announced plans to develop a $24 million expansion of its Rhode Island operations. The expansion would create 284 new jobs over the next three years and save the toymaker $1.6 million in tax breaks, as part of a state economic development program. Hasbro, which employees 1,400 people at its Rhode Island headquarters, has outgrown its Pawtucket and East Providence offices and is considering a downtown Providence location, for the new facility. Beachhead was released in the summer of 2010 as part of the first wave of figures in the Pursuit of Cobra line. The Pursuit of Cobra line features environment-themed missions in which the G.I. Joe team pursues Cobra operatives to the ends of the earth. As part of the City Strike mission theme, the G.I. Joe team stealthily infiltrates a Cobra warehouse, in an urban center, housing some of Destro's newest weaponry. Beachhead comes armed with an arsenal of weapons, but it's the highly-detailed features--such as the binoculars, gas grenades and front and rear knife sheaths on Beachhead's flak vest, as well as the GPS device on Beachhead's left leg--that stand out. Although these items aren't removable, they possess an incredible level of depth and realism. Does Made In China Mean Imminent Price Hikes? A three-consecutive day protest among truckers in Shanghai disrupted operations at its seaport, a major distribution hub. With inflationary pressures outpacing wages, unrest among Chinese workers grows and the toy industry is paying attention. Strikes such as the one in Shanghai can disrupt logistics for companies like Hasbro, maker of G.I. Joe, which manufacturers and ships from China. Consequently, if the Chinese government offset wages for inflation, toy companies would see an increase in labor costs, cutting into their bottom lines and almost certainly resulting in price increases in the toy aisle for U.S. consumers. As the Chinese economy continues its exponential growth, is it time for toy companies to start weaning off Chinese manufacturing? 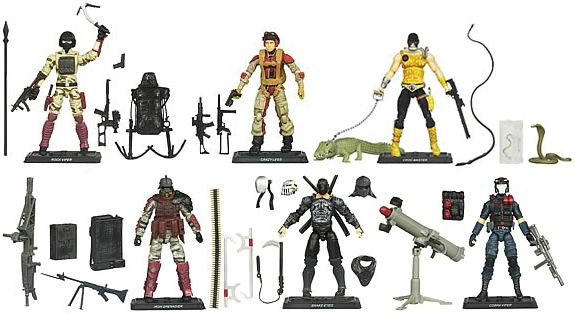 Snake Eyes was released in the summer of 2010 as part of the first wave of figures in the Pursuit of Cobra line. The Pursuit of Cobra line features environment-themed missions in which the G.I. Joe team pursues Cobra operatives to the ends of the earth. As part of the Desert Battle mission theme, the G.I. Joe team battles Cobra's newest weapon, the H.I.S.S. Tank, through the heavy sandstorms and arid wastelands of the desert. If you thought Snake Eyes is dressed a bit warm for a desert battle, it's with good reason. Snake Eyes was originally slated to be part of the Arctic Threat mission theme, but poor moviegoer reviews of The Rise of Cobra and its toy line's sluggish performance at retail forced Hasbro to re-shuffle the Pursuit of Cobra lineup. 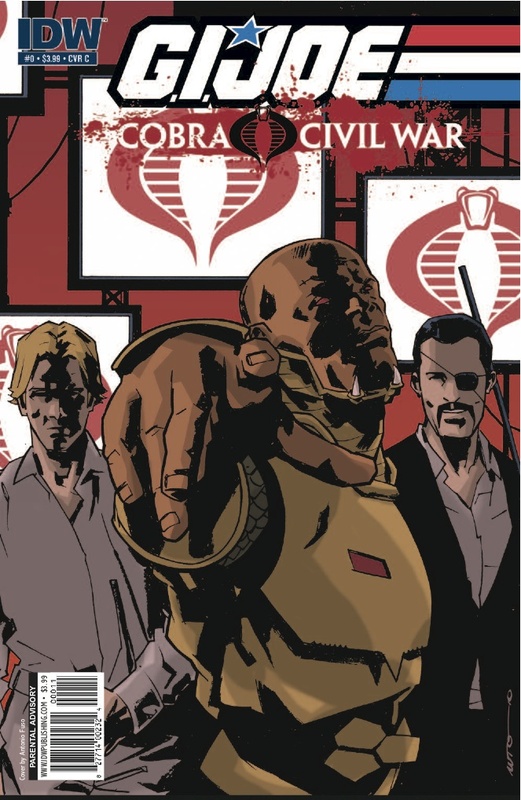 The effort to differentiate the Pursuit of Cobra from the Rise of Cobra resulted in Snake Eyes' deployment to the desert. 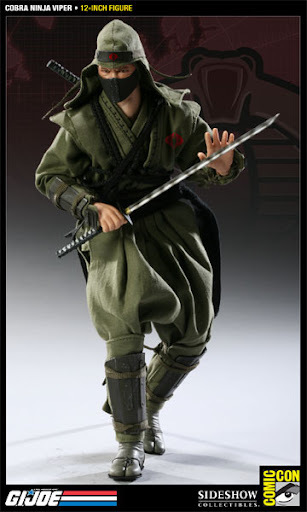 Duke was released in the summer of 2010 as part of the first wave of figures in the Pursuit of Cobra line. The Pursuit of Cobra line features environment-themed missions in which the G.I. Joe team pursues Cobra operatives to the ends of the earth. As part of the Jungle Assault mission theme, a team led by Duke discovers a heavily fortified Cobra fortress, the Terror Drome, in a remote jungle. Although originally designed and revealed with Channing Tatum's likeness, Duke was produced with a newly sculpted head. The change is widely regarded as Hasbro’s means of differentiating the Pursuit of Cobra line from the Rise of Cobra, which received generally negative reviews from film critics and was performing sluggishly among kids and collectors in the toy isles. Cobra Strikes or Cobra Strike? We have to admit, Examiner.com's article Jon Chu discusses 'G.I. Joe: Cobra Strike' has us miffed. The article's author, Brandon Jones, refers to the upcoming G.I. Joe movie sequel as G.I. Joe: Cobra Strike despite conflicting reports that the title is G.I. Joe: Cobra Strikes. We've requested clarification. In the meantime, it's worth noting that Jones quotes Hasbro CEO Brian Goldner as saying the sequel would not be a complete reboot, but that it would feature a story that didn’t require any knowledge of the previous installment. Almost two weeks after debuting on eBay via a Hong Kong seller, Hasbro's Pursuit of Cobra wave 6 (also referred to as 2011 wave 4) figures are now arriving at retail channels in the U.S. Online collectibles mega-store BigBadToyStore.com has the wave in stock and collectors are finding the figures at several California Toys R Us stores. The wave is comprised of six figures--Rock Viper, Crazy Legs, Croc Master, Iron Grenadier, Sake Eyes (Temple Guardian) and the Cobra Viper--packed at a ratio of two each per assortment case. After announcing that the sequel to G.I. Joe: The Rise of Cobra was set to begin production in Louisiana, state officials quickly retracted their statement--at Paramount Studios' request--saying only that the studio was seriously considering the pelican state. The reason for the retraction isn't clear, what is clear is that the sequel has been given a tentative title; G.I. Joe: Cobra Strikes. Cobra Strikes is set to begin a five-month shooting stint starting in New Orleans on August 1. The sequel returns Channing Tatum and Ray Park, who will reprise their roles as Duke and Snake Eyes, respectively. 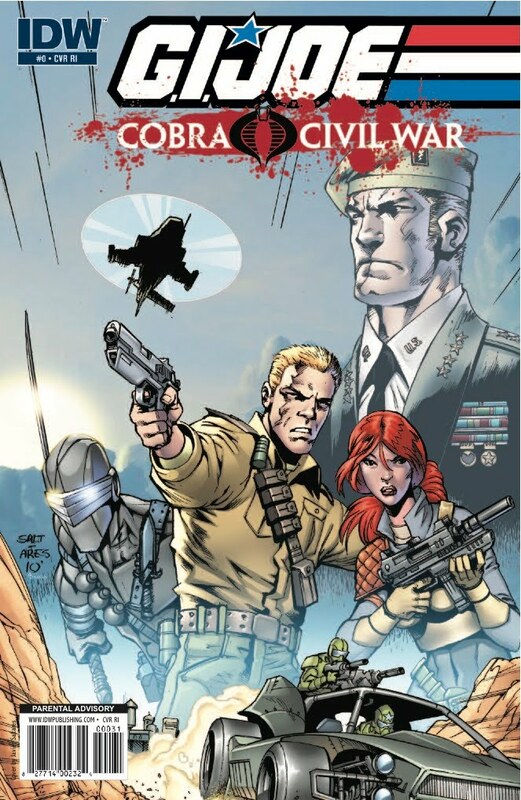 Cobra Civil War #0 is basically three original previews of IDW’s upcoming G.I. Joe lineup, which includes; G.I. 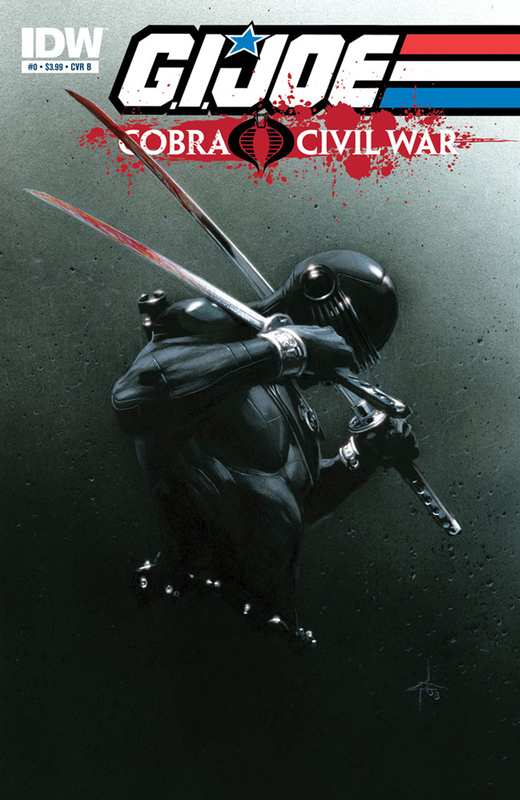 Joe, Cobra and the new, on-going Snake Eyes series. And it’s awesome! First, we get the G.I. Joe preview featuring a team of Joe's investigating the abandoned town of Springfield. No spoilers, but it's explosive and introduces a new villain into the G.I. Joe universe and we can't wait to get the action figure! Next up, we head over to see what the nasty folks at Cobra are up to. This story is probably the most interesting. For those not following along, Chuckles killed Cobra Commander. Yes, you read that right. Chuckles killed Cobra Commander! Now the masterminds behind Cobra have decided to hold a contest, of sorts, to find a replacement. The contestant who deals the biggest blow to G.I. 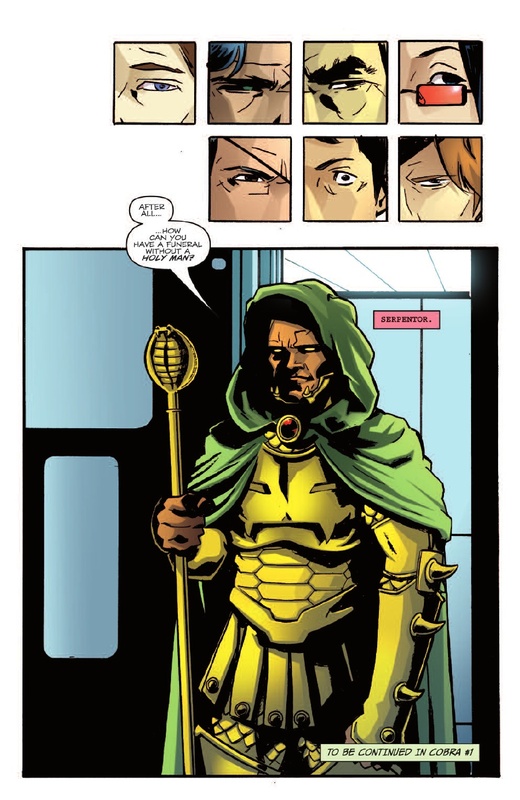 Joe will become the new Cobra Commander. 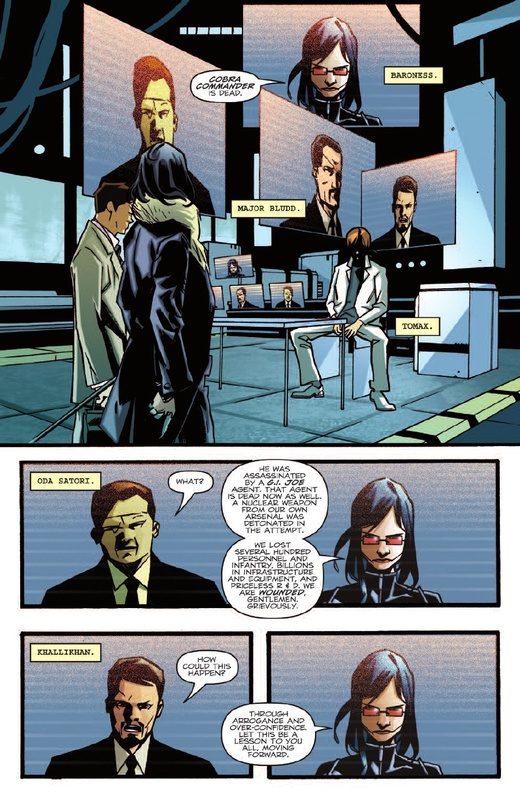 The story sets up the characters in contention and hints at their plans for attacking the Joe team. Finally, we have the Snake Eyes story. We’re going to say it's the weakest of the three stories, simply because we don’t get enough Snake Eyes. 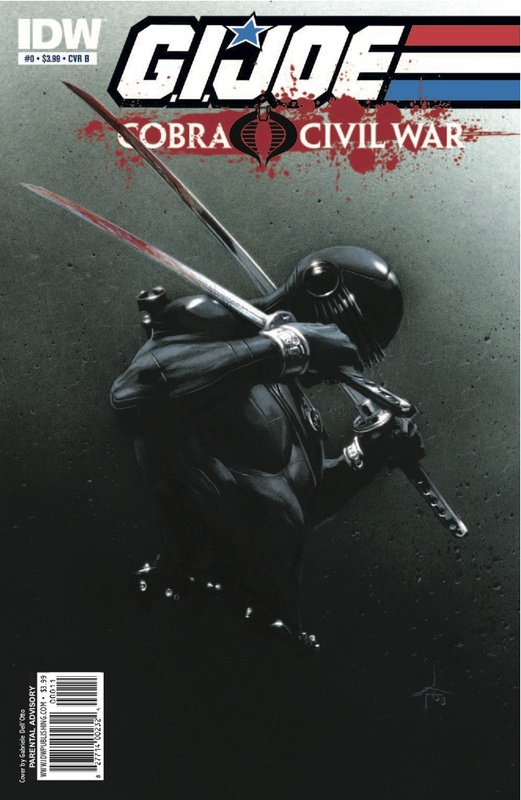 It does, however, compliment the on-going Snake Eyes book--illustrated by Robert Atkins--nicely. VERDICT: Buy it…now! Seriously, it's a great read with nice art and even though IDW has combined three different stories, they all flow seamlessly one into the next. Sideshow Collectibles has revealed its 2011 Comic-Con exclusive will be a 1/6-scale Cobra Ninja Viper. Not going to Comic-Con? Don't worry! Sideshow's got you covered as both attendees and non-attendees will have the opportunity to purchase the exclusive. Priority pre-orders for attendees start on May 19, while non-attendees can pre-order on May 20. For complete details, visit Sideshow's online Comic-Con micro-site. G.I. Joe toy maker Hasbro, Inc. reported its first quarter profits were down 71 percent. Weak revenue--especially in games and puzzles, and girls' toys--increased spending on product development, and investment in the HUB television joint-venture were cited as contributing factors. The first quarter is typically slow for toy makers, but a decrease in demand for toys during the holiday season forced retailers to hold back on first quarter orders, as they tried to unload excess holiday inventory. Revenue of boy's toys increased 25 percent on the strength of Beyblade, a spinning top toy based on a Japanese manga series. "Cobra Civil War begins here! The Commander is dead! Long live...Cobra Commander?! But the questions is, who will be the next Cobra Commander? The role of Commander must be filled--now the most lethal and cunning Cobra operatives will compete to reign supreme. The winner--he who kills the most G.I. Joes--will take the reins of Cobra! Bonus: Ninja Force! Yeah, baby! Thirty big pages of story at regular price! This is the place to jump on board and see what everyone’s been talking about!" To find a comic book shop near you, head over to the Comic Book Locator Service. If you missed them the first time, a Hong-Kong based seller has listed figures from the G.I. Joe Pursuit of Cobra wave 6 assortment on eBay. Buy it Now prices range from $11.20 - $14.58, depending on the character. Although we're leading you to water, we don't recommend you drink; meaning these figures should start showing up state-side in about two weeks, so don't pay the premium. Now the question is, what happened to wave 5? One of our goals for aRealAmericanHero.com is to build a comprehensive, hi-resolution photo archive of as much G.I. Joe stuff as we can get our hands on. As you can imagine, it's quite an ambitious undertaking, but we're confident we can pull it off--in due time. Everything has a beginning, and now, so does our action figure photo archive. We've added photos of the Cobra Deviant Mobile Mech Suit with Cyber-Viper and G.I. 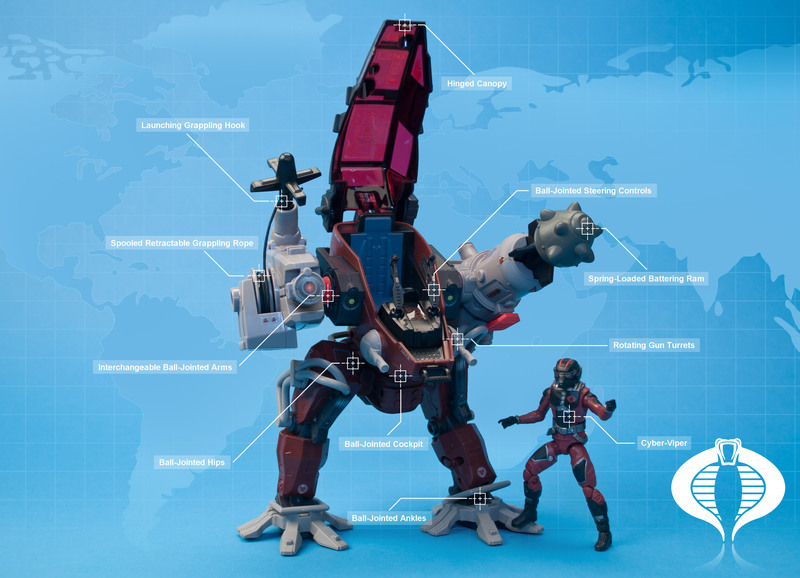 Joe Steel Marauder Mobile Mech Suit with Kickstart as our first trial entries. We'll be following up with additional photos of these Mech suits and adding an archive page to the site, but would love your feedback in the meantime. Mock-Ups, and Prototypes, and Cross-Overs! Oh, My! 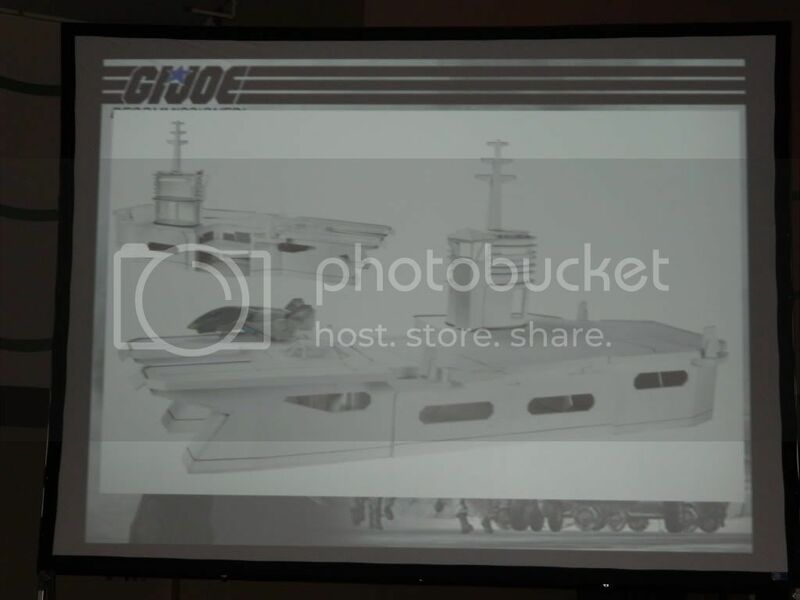 Hasbro gave us a look at some of the unproduced items living in their vaults during their Treasures of the Hasbro Archives panel at G.I. 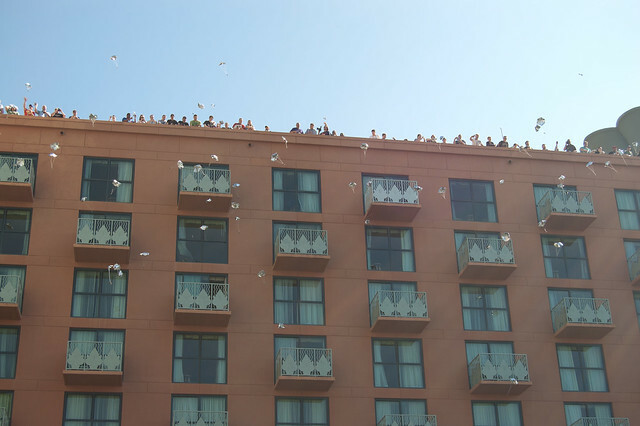 JoeCon 2011. 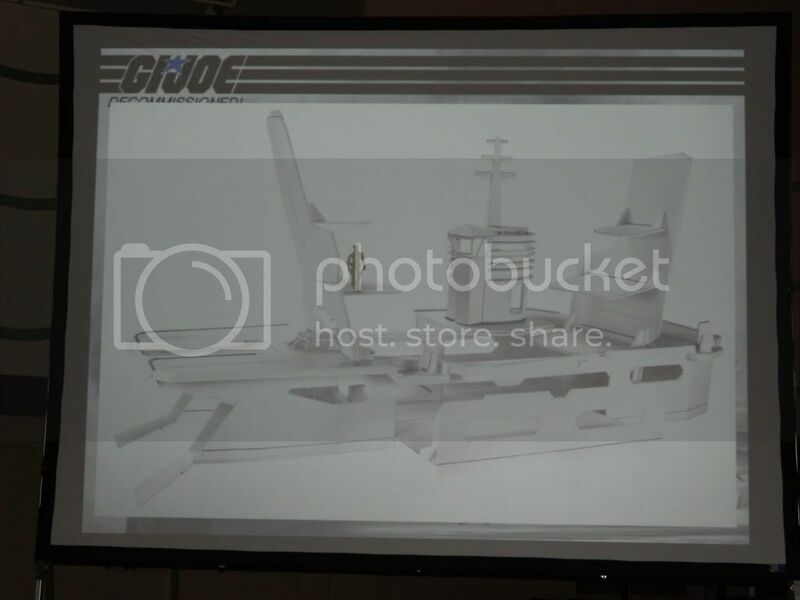 Photobucket member Night Viper captured photos of the Hasbro team's presentation slides, including an Arctic Threat Baroness/Ravage cross-over pack (even though it was stressed it wasn't Ravage, but a panther companion) originally slated for the Pursuit of Cobra line, numerous mock-ups, and a prototype of a modern version of the U.S.S. Flagg. We attended the panel and can attest to the Hasbro team's desire to document these items--as well as items from other Hasbro licenses--in a way for collectors to enjoy; possibly in a book. According to Moviehole, G.I. Joe sequel director John Chu is casting a 25-35 year-old male, of any ethnicity, to fill the role of a character described as Cross. Speculation is that Cross is actually Cross-Country, the country music loving member of the G.I. Joe team and driver of the H.A.V.O.C. Cross-Country was featured in a 1986 episode of the A Real American Hero animated series titled "Into Your Tent I Will Silently Creep." We've updated our Flickr photostream with hi-res photos from Hasbro's booth at G.I. JoeCon. The Hasbro team updated their display to include the new items they announced during their sneak peek panel on Saturday morning. Hasbro unveiled portions of their late spring/early fall G.I. Joe toy line-up at their sneek peek panel, yesterday. We'll have detailed, hi-res photos posted later today. In the meantime, we've uploaded some hi-definition videos of the Hasbro showcase (with the new figures on display) on our YouTube channel. Our live streaming video coverage, from G.I. JoeCon 2011, continues today. 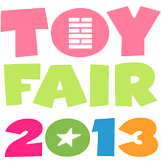 We'll be streaming live from the Hasbro G.I. 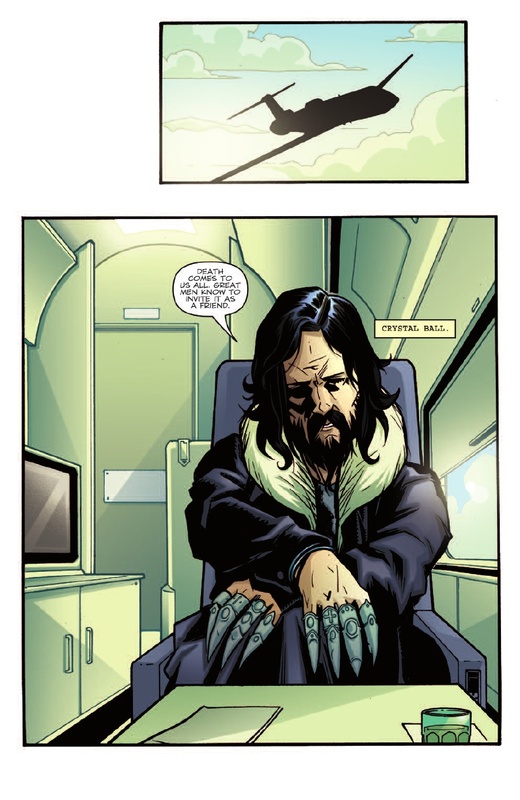 Joe Sneak Peak [sic] panel so you can follow along with the latest annoucements as they happen. Once again, check our Tweets for updates on when we'll be going live and keep an eye on the video player above or directly on Qik to catch the latest from the show. Day one of G.I. JoeCon is over and here's a quick recap of the days events. We've posted all of our day one photos to Flickr, so be sure to check them out. We've also archived our live video feeds from throughout the day on YouTube. We'll be broadcasting live again tomorrow, so be sure to check back in the morning. Parachute Drop - 10:30 a.m.
Our live video feeds will broadcast throughout the day during scheduled show events. Follow our Tweets to see when we'll be streaming live and check our YouTube channel for the archived videos. Watch Us, Follow Us, Like Us; You'll Love Us! We're gearing up for tomorrow's parachute drop and the kickoff to our 2011 G.I. JoeCon coverage. Starting at 10:30 a.m. EST, we'll be reporting live from the show. And by live, we mean live video feeds, throughout the day, here on the site. Expect frequent updates to our social media streams, as well. We highly recommend following us on Twitter, liking us on Facebook and checking our YouTube channel for up-to-the-minute updates.